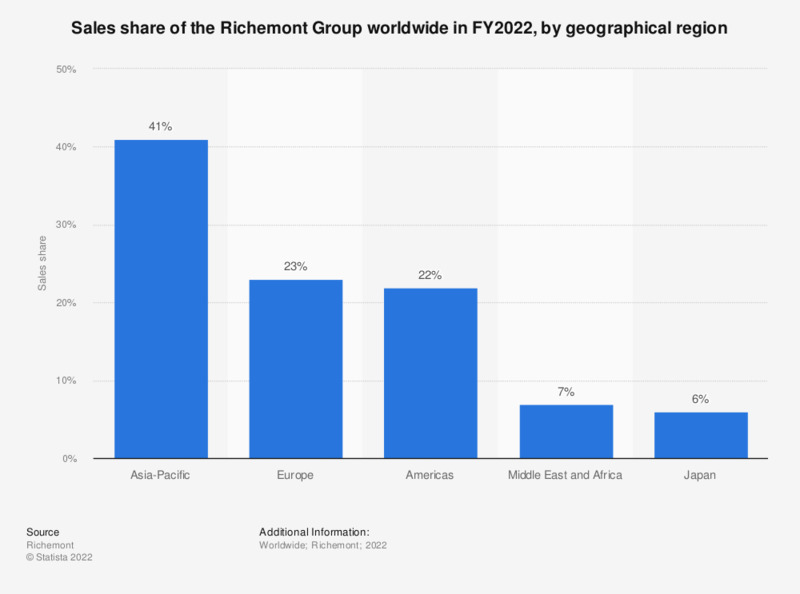 This timeline shows the sales share of the Richemont Group worldwide in FY2018, by geographical region. In that year, the sales share of the Richemont Group's European region amounted to about 27 percent. Fiscal year ends March 31 of the respective year. Everything On "Luxury goods in Europe" in One Document: Edited and Divided into Handy Chapters. Including Detailed References. How many new or used personal luxury items (accessories, bags, clothing, shoes, jewelry, watches, cosmetics) have you bought in the last 3 years?